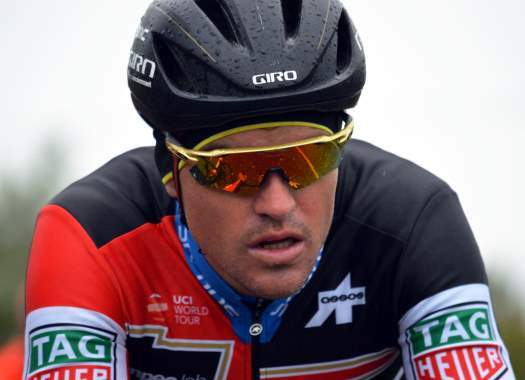 Greg Van Avermaet will lead BMC Racing Team at the BinckBank Tour. The rider will be supported by a roster that will aid him in his GC ambitions but can also fight for their own glory. The race suits very well the Belgian rider. "This year I think we have the same objective as we have had at previous editions of the race," said Sports Director Valerio Piva. "We will start with Greg Van Avermaet as our leader. He has been strong at this race in the past and I expect the same from him this year. It will be a little different with the European Championships the day before the start of the race but, we will see how he recovers and the first stage is flat so we won't put the responsibility on him immediately. "I know that he likes this race and that he will do his best and we have already seen that his condition is good after the Tour de France. I actually think that the form he came out of the Tour in can keep him going until the end of the season." In the last two editions of the race, Van Avermaet has finished in the 4th position and he's motivated to improve from it. "BinckBank Tour is a race that has previously suited me and it's always nice to race in Belgium," commented the Olympic champion. "I felt good at Clasica Ciclista San Sebastian and I was able to show that I am still carrying some strong form in my legs. "I've finished fourth overall in the last two editions of the race so, I am feeling really motivated once again. This year will be a little different as I will be coming into the race right after the European Road Race Championships. We will see how my body reacts to that but overall, I think we have a strong team and I'm looking forward to the race ahead."